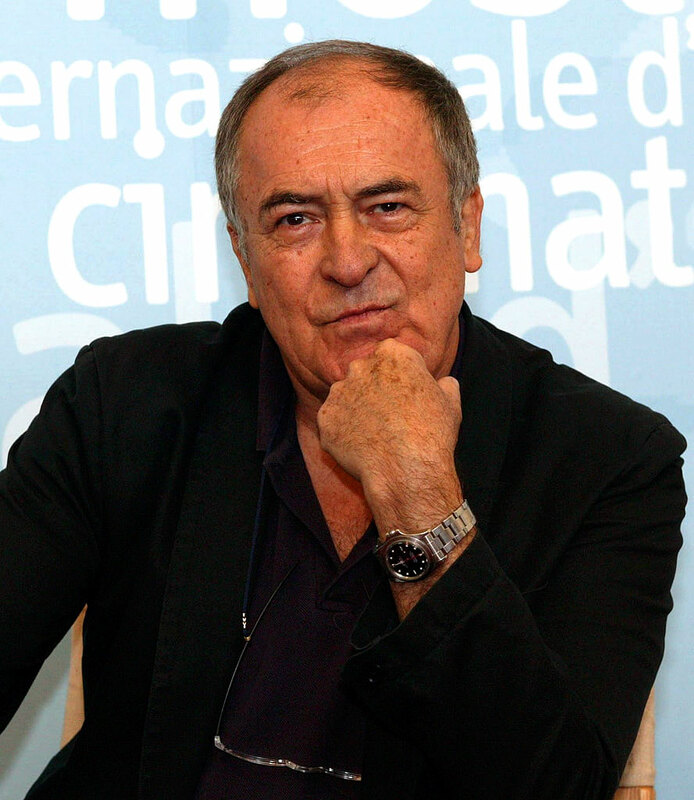 Legendary Italian director and screenwriter, Bernardo Bertolucci passed away today at the age of 77. 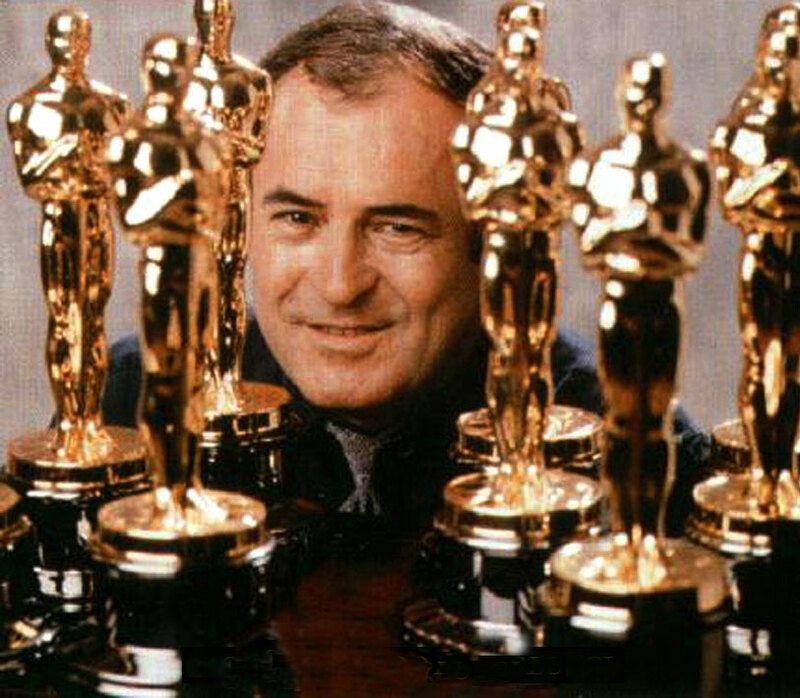 Bernardo was famous for movies like The Conformist; Last Tango In Paris, and The Last Emperor. 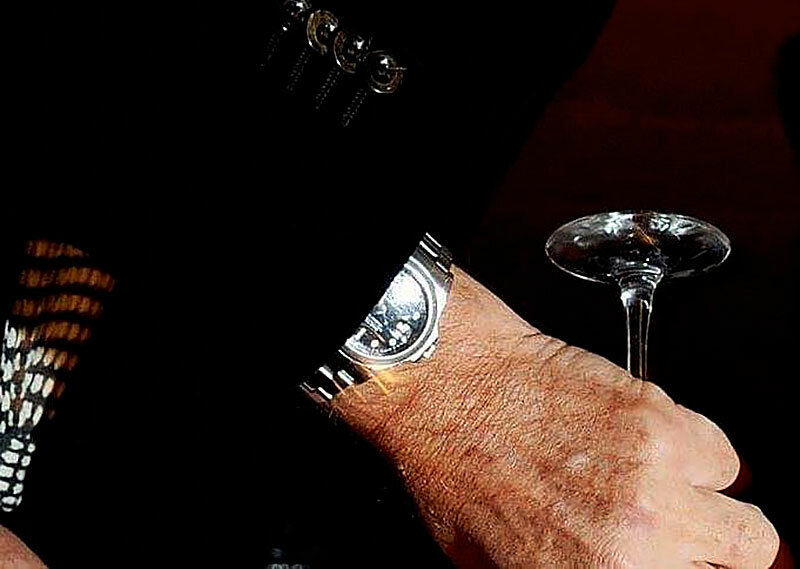 Horological blogger and expert Nick Gould was the first person to discover Bernardo Bertolucci's GMT was indeed a Pepsi as we see in the image above. This is a very strange Rolex story. 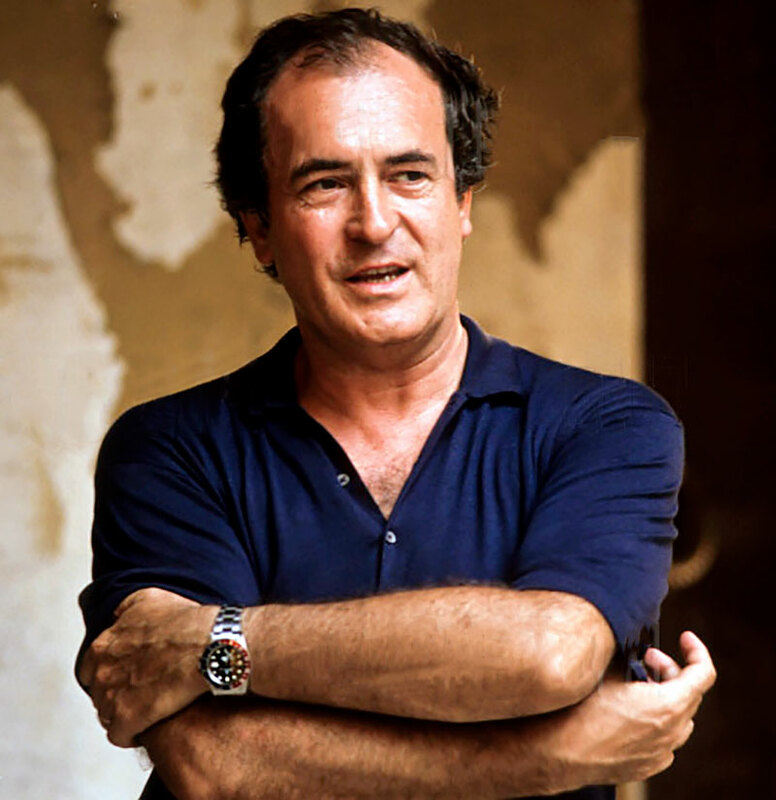 When I first observed the photo above of director, Bernardo Bertolucci, it was clear he was wearing a Rolex professional model and I assumed it was an Explorer II. I kept staring at it—as something looked off to me. It kind of looked like a GMT-Master with its bezel missing, which reminded me instantly of how Marlon Brando wore a Rolex GMT-Master in Apocalypse Now sans a bezel. 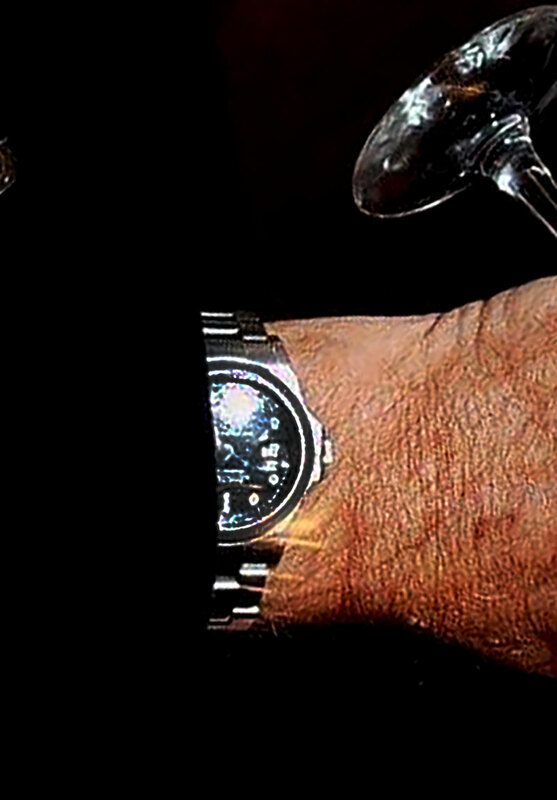 Upon Close Inspection, Nick Gould poined out the dial has the GMT-Master designation just above the COSC Designation. Explorer II models have the model designation on the top of the dial, under the Oyster Perpetual Date Designation. 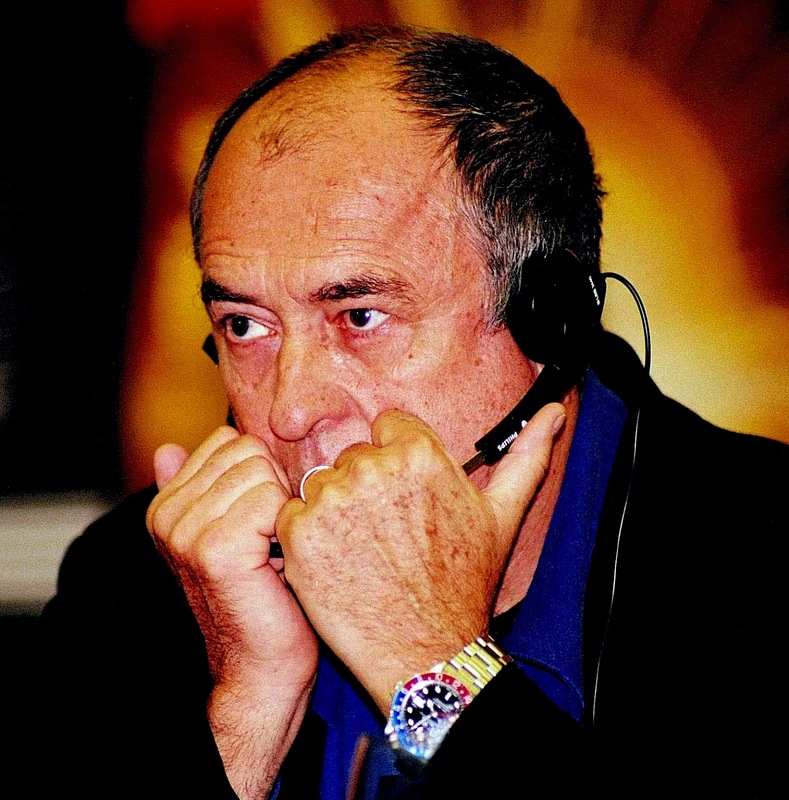 I thought I must be hallucinating, but then Nick Gould mentioned to me he was thinking the same thing, and upon close inspection I believe that is likely the case (pun intended ;-) So the perhaps not-so-obvious-question, is if Bernardo Bertolucci is wearing the Marlon Brando's bezeless GMT-Master? 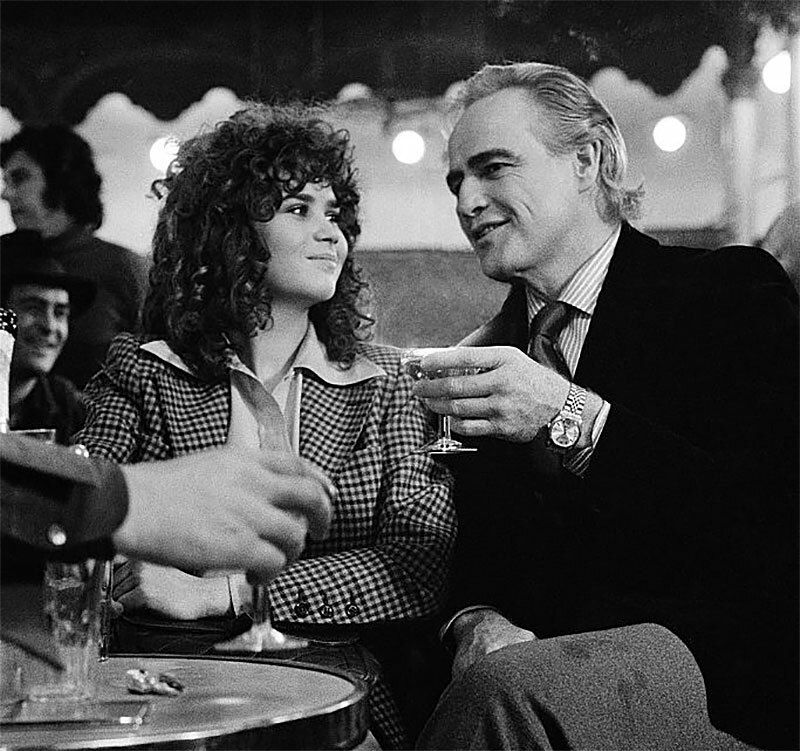 In the picture below which was taken on the set of Last Tango In Paris in 1971, we see Bernardo Bertolucci wearing a Rolex Datejust on a Jubilee bracelet, with Marlon Brando standing in the background on the set in the restaurant. “In 1964, I went up to Alice Tully Hall at Lincoln Center for the 2nd New York Film Festival to see a new film from Italy. 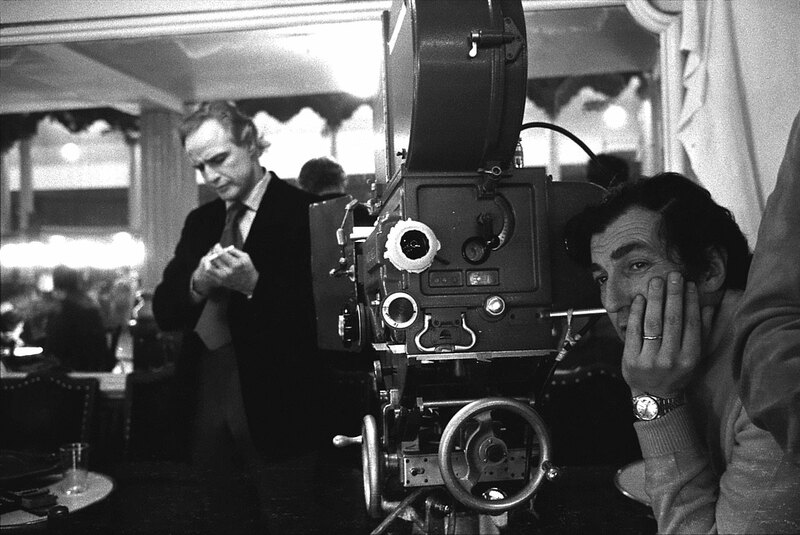 It was called ‘Before the Revolution’ and it was by a young director named Bernardo Bertolucci. I came out of the theater in a daze, speechless. I was truly stunned and moved by the level of sheer artistry and talent up there on the screen, I was shocked by the freedom of the picture, I was somewhat mystified by so many of the cultural references and cross-references, and, as someone who wanted to make films, I was inspired. ‘Before the Revolution’ opened many doors for me, and for many other young filmmakers as well. 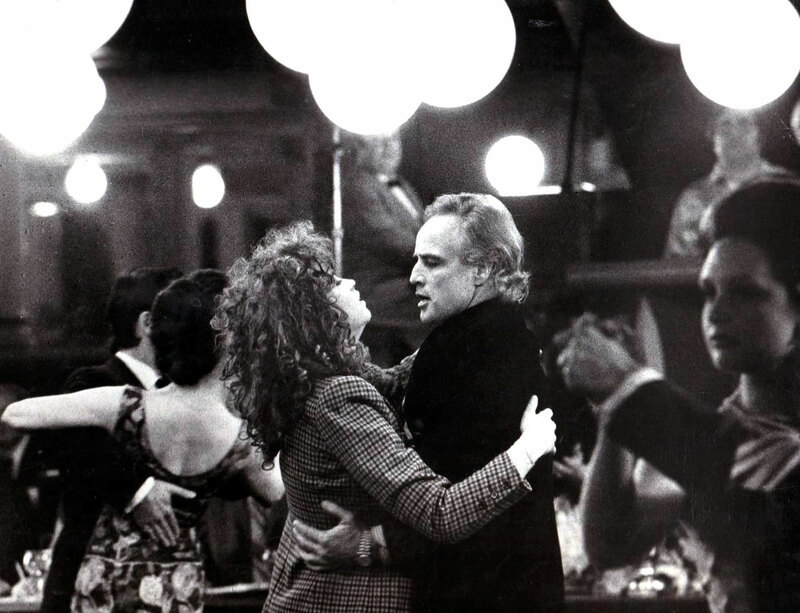 And Bertolucci kept on opening doors–with ‘The Conformist,’ which had a profound influence on Hollywood moviemaking; with ‘Last Tango in Paris,’ an explosive cultural event; with ‘The Last Emperor’ and ‘The Sheltering Sky,’ which reinvented the historical epic." 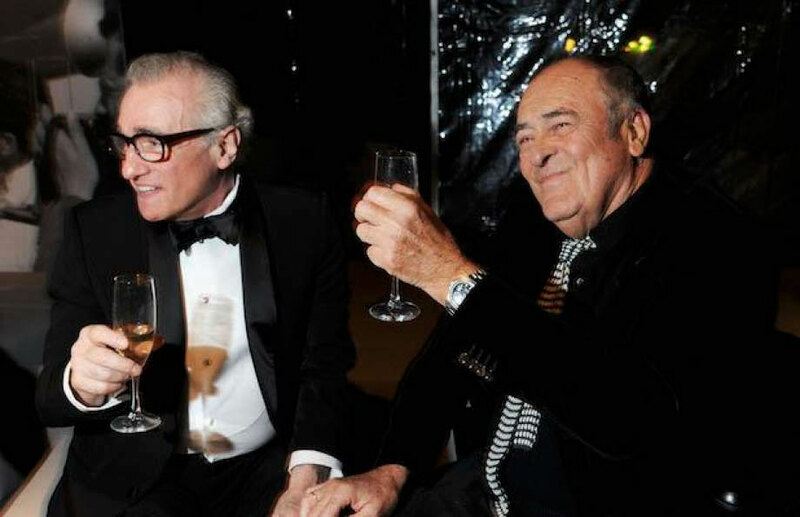 Bernardo Bertolucci is pictured above with fellow legendary movie director, Martin Scorsese. 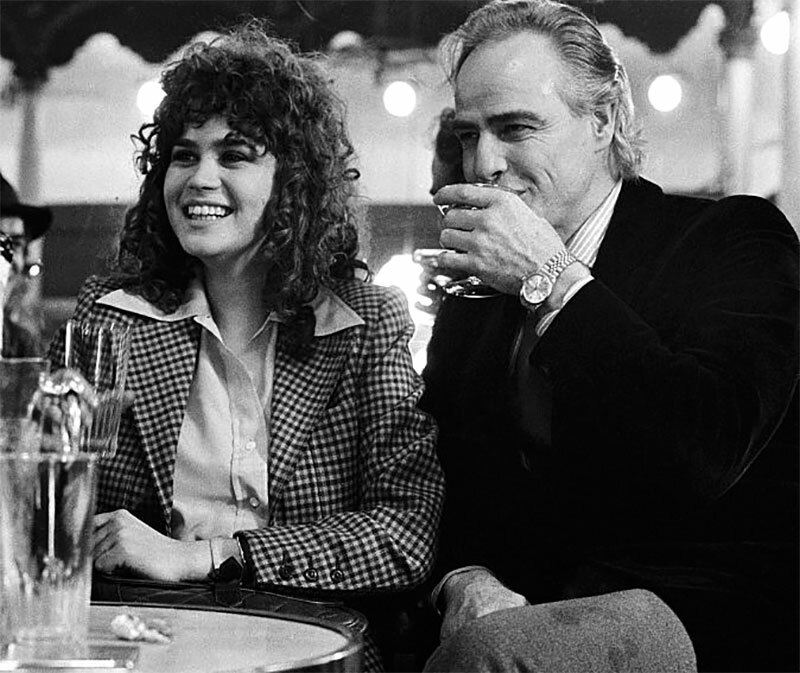 "When I think of Bertolucci–the man, the artist–the word that comes to mind is refinement. Yes, he was flamboyant and provocative, but it was the mellifluousness and the grace with which he expressed himself, and his deep understanding of his own history and culture, that made his filmmaking and his presence so special, so magical." 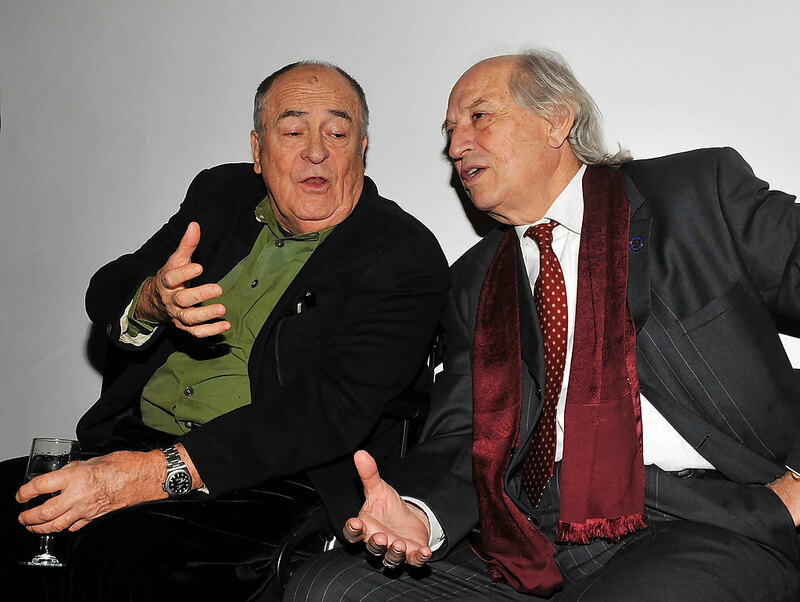 In this next photo we see Bernardo Bertolucci wearing his Rolex GMT-Master, while chatting with his Academy Award winning cinematographer, Vittorio Storaro during a Retrospective Opening Reception. 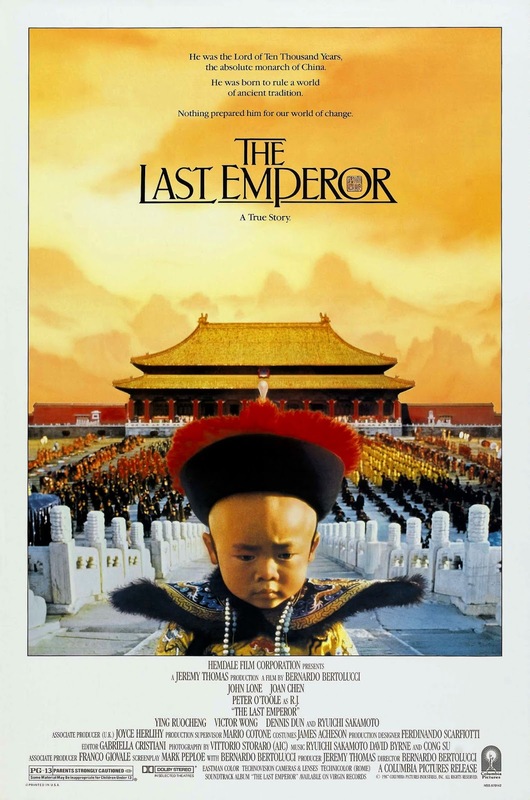 In my opinion, The Last Emperor was Bertolucci's best movie, and one of the greatest movies ever made!!! The Academy Awards saw it the same way as it won 9 Academy Awards in 1987, including Best Picture and Best Director. Not only was The Last Emperor an absolute masterpiece, but so was the soundtrack. I recall President Ronald Reagan, back in the late 1980s saying The Last Emperor was the best movie he had ever seen.